Today we’re going to talk about the second to last original founding member of the Justice League. No not that one. This one. 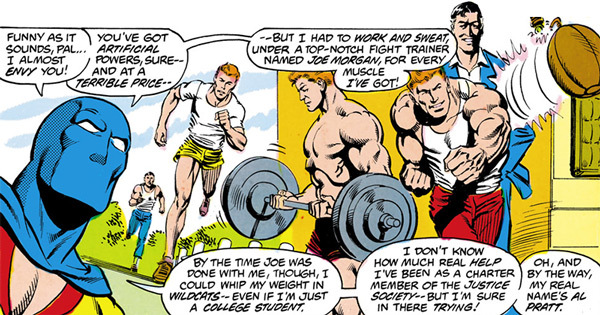 Joe decided to thank Al by training him to be a boxer and he turned out to be a great teacher. 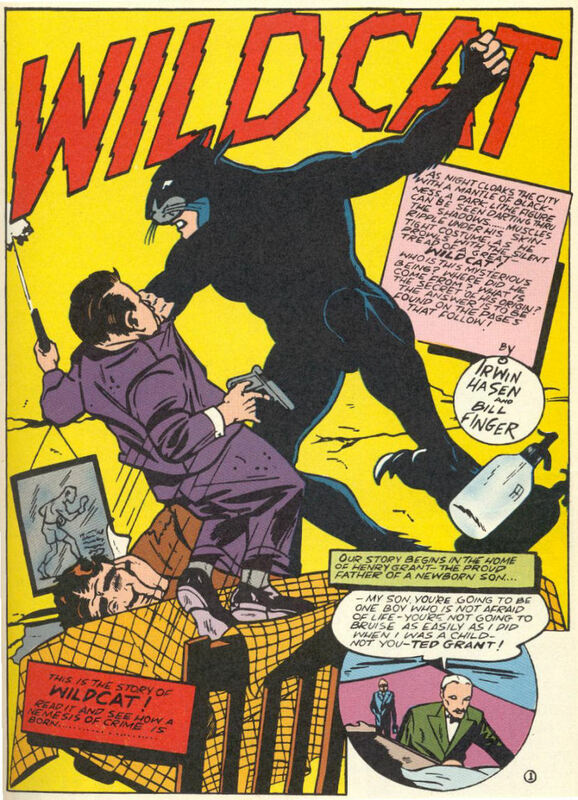 Al would eventually become so skilled that he finally decided to adopt the life of a costumed crime fighter during a time when hard work and a reasonable amount of training could still give you a reasonable shot at being a hero. 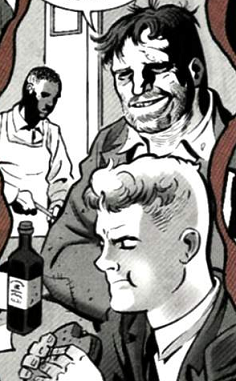 Al would adopt the name “Atom” and became a founding member of the Justice Society when President Roosevelt organized the Justice Society in order to fight the Nazis. which was all the more interesting since they were both trained by Joseph Morgan. 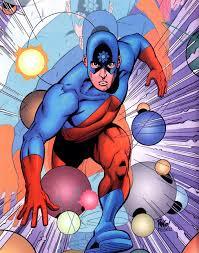 In 1948 Atom began to live up to his namesake and developed atomic based superpowers. It turned out the cause of his newfangled powers was a battle with the reluctant villain Cyclotron six years earlier during the war. Side note: It turned out that Cyclotron was forced into becoming a villain by another JSA villain, the Ultra Humanite. He sacrificed himself by flying Ultra Humanite into the atmosphere and destroying himself. 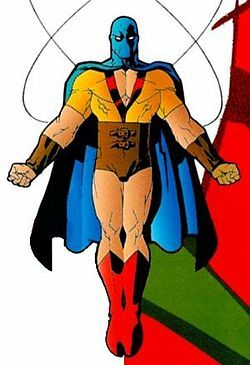 As a reminder of Cyclotron’s deeds Atom changed his costume to resemble the deceased villain. He developed super strength as well. His story would further develop when Al Pratt took partial custody of the then deceased Cyclotron’s child Terri. With his new super powers the Al Pratt devoted his life to studying radiation and its effects. 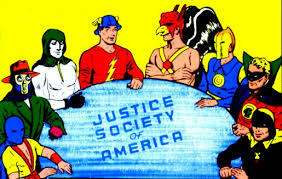 However, the Atom and the rest of the JSA were disbanded in 1951 when a Senate Committee ordered them to reveal their identities in order to prove they weren’t Communist sympathizers. 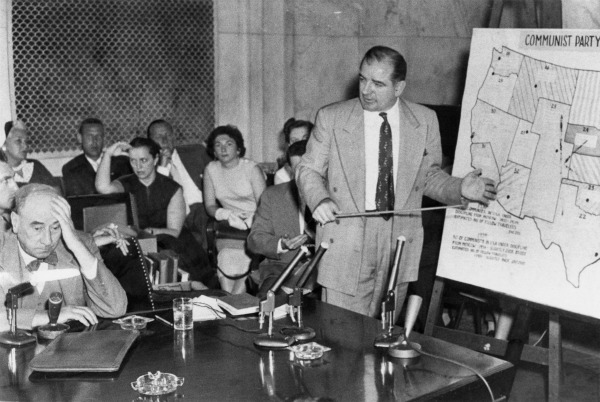 Naturally the JSA refused to bow down to this obvious parallel to the real life Senator McCarthy and the House Committee of un American Activities and opted for an early retirement. 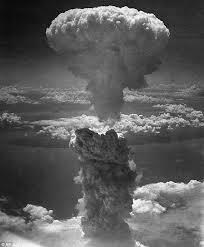 Atom revealed his identity to his sweetheart Mary James and the two were married. Al would eventually return with his old team mates as Atom on several occasions later on. 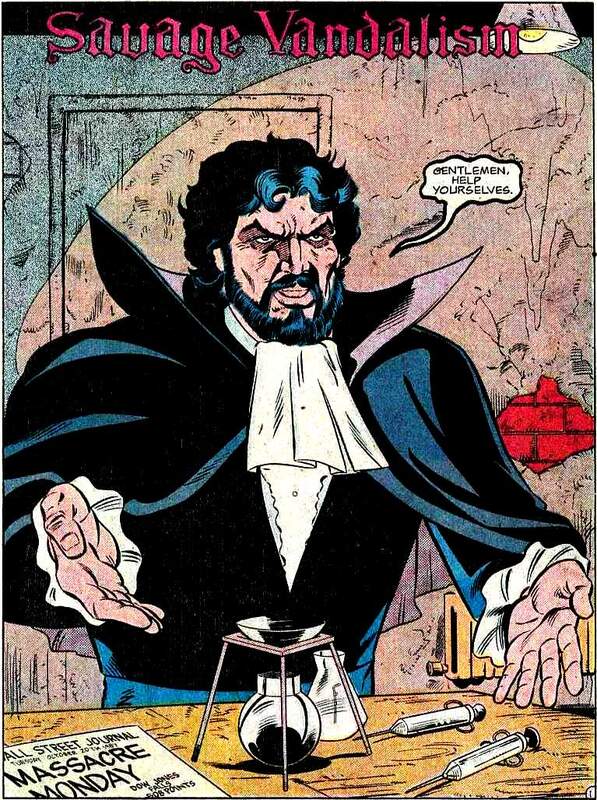 However, his life would take a sudden and tragic turn when one of the JSA’s oldest foes, the immortal Vandal Savage, kidnapped his son and killed Mary James. Al was devastated but managed to pull through with the help of his teammates. 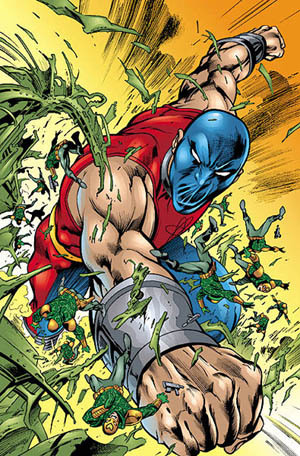 Unfortunately, he would later perish when battling the villain Extant during DC’s Zero Hour event in 1994. 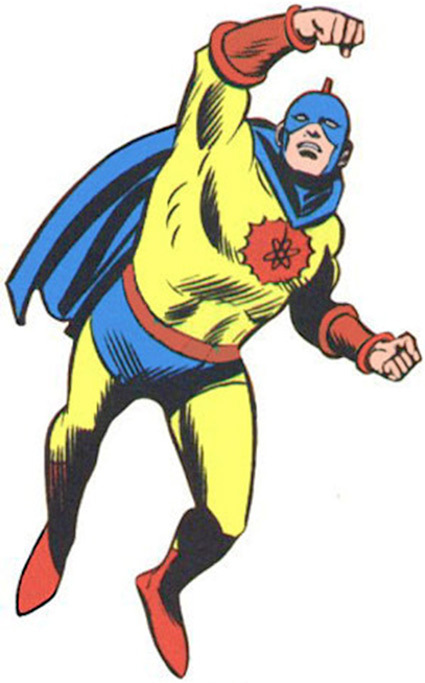 While Al Pratt’s Atom was dead his legacy as a hero would live on in another hero named Atom Smasher, who was actually the grandson of the villain Cyclotron and Al’s god son. While a huge portion of Al Pratt’s superhero career was marred by loss and tragedy his legacy lives on as one of the founding members of the JSA and as a hero to exemplified defying the odds to do the right thing. 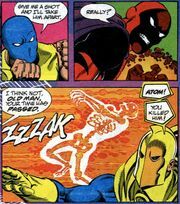 This entry was posted in Blog and tagged Atom, Atom Smasher, Cyclotron, Dc Comics, Golden Age of Comics, Justice League Unlimited, Justice Society. Bookmark the permalink. ← New mythologies for comic books: Russian legends and myths.